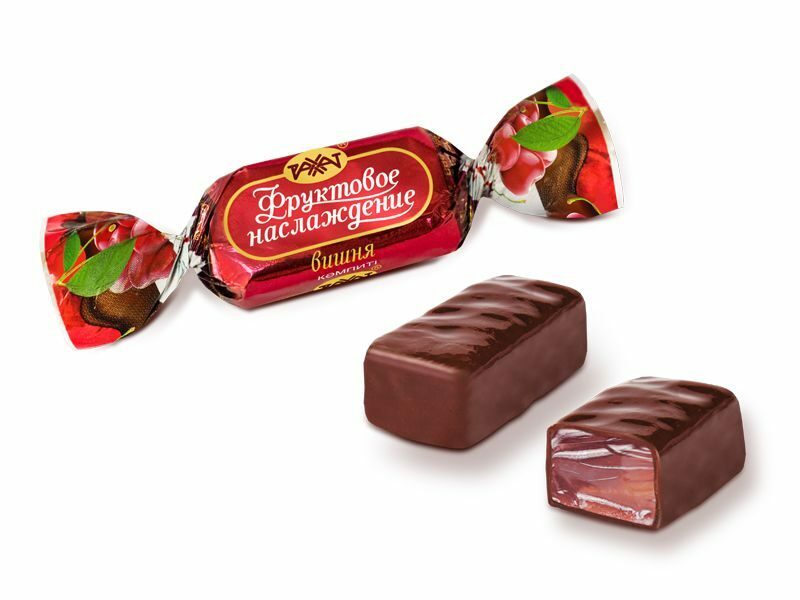 Candies glazed with chocolate glaze, of rectangular form. Jelly body on the basis of pectin with the addition of natural fruit juice, with the taste of cherry. sugar, glucose syrup, cocoa mass, water-holding agents: sorbitol, «Vanilla»; cocoa oil, gelling agent – pectin; neutralizer – citric acid; natural fruit juice, stabilizer – sodium citrate; emulsifiers: soy lecithin, Е476, Е492; aromatizers are identical to natural, food colouring agent – radish, lemon, blackcurrant concentrate.